In our blog this week, we want to provide you with some tips and tricks for deciphering information that you may find on the web related to dental health. According to the American Dental Association, there are numerous websites that provide information related to oral health that is not based on current scientific research. Many of these websites are handing out misinformation related to dentistry. The problem with these websites is that they may perpetuate myths about dental health and hygiene that may be harmful to you or your family’s health. 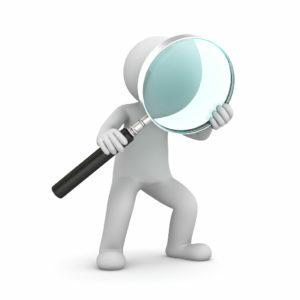 We have written this blog in order to assist you in finding quality information related to healthcare on the Internet. If you ever read or hear about something related to dentistry that doesn’t sound right, be sure to ask your dental providers about the validity of this information. At Matthew Nawrocki General Dentistry and Prosthodontics, we are committed to patient education and want our patients to have a working knowledge related to dental health. One of the ways that we constantly teach our patient about all things dentistry is with our weekly blogs. Our bog this week is designed for you so that you can confidently and accurately teach yourself and your family about oral health using the web as a reliable resource. If you have any concerns or would like to schedule a consultation with one of our dental providers, do not hesitate to contact us at any time electronically or call (904)602-8396. Dr. Nawrocki is a well-known and respected dentist in the Orange Park area and surrounding communities and is accepting new patients. We are happy to answer any questions that you may have about information that you heard about or read about on the Internet. How Do I Determine If The Website Is Legitimate? When you are trying to determine if a website is legitimate or not, it is important to consider various things. The first thing to consider is the reason that this person or organization has decided to write about a particular topic. Many times, websites are created to try and raise money for a specific cause or company and may represent biased points of views in their articles. If a scientific article is posted on a website which is designed to promote and specific brand, the advertising should clearly be separated from the health information. Another common finding on the Internet is out-of-date information. Make sure to check the website to see how long ago the site was updated. Dental and health information is constantly changing as scientific research takes place. Your dentist will always know the most recent and proven scientific information from continuing education courses that he or she participates in regularly. With all articles, you should use your common sense to determine if the article is representing an opinion or facts. If you are still confused about the quality of the article, print it out for your dentist or send them a link to review it for you. Hopefully you learned some valuable information by reading our blog today. We want our patients to know the facts about dentistry and how to find reliable information on the ever-expanding Internet. If you have any unanswered questions or are having trouble finding the information that you need, please feel free to contact us at any time electronically or call (904)602-8396.